My 6 year old is WAY into unicorns these days. We just celebrated her birthday and she had a unicorn party. She got several unicorn gifts. AND she is convinced I need to make her her own unicorn sweater. 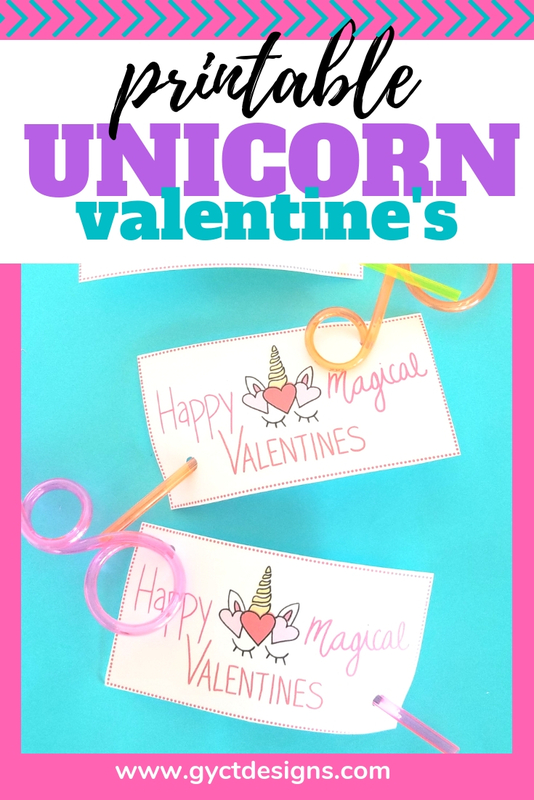 So naturally when she asked about handing out unicorn valentine's I knew that I had to deliver. So I got out my stylus and started sketching and this is the cute design I came up with. 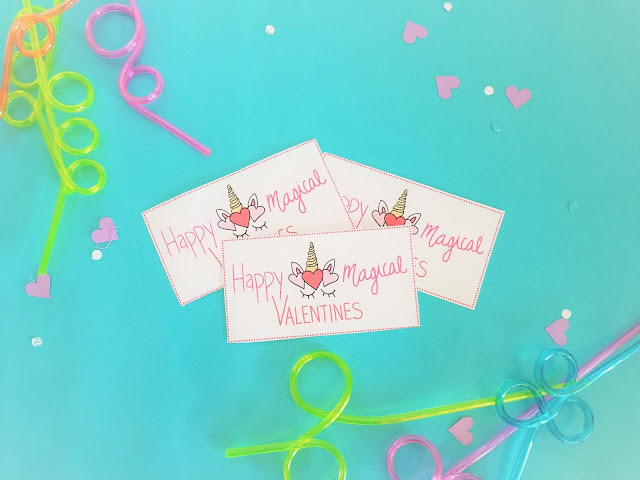 It is always fun to try new things and my husband is so amazing and got me a stylus for my laptop so I could practice my lettering and working on sketches and making cut files. This is one of my first projects I'm sharing with my readers. Print off the Unicorn Valentine onto cardstock. 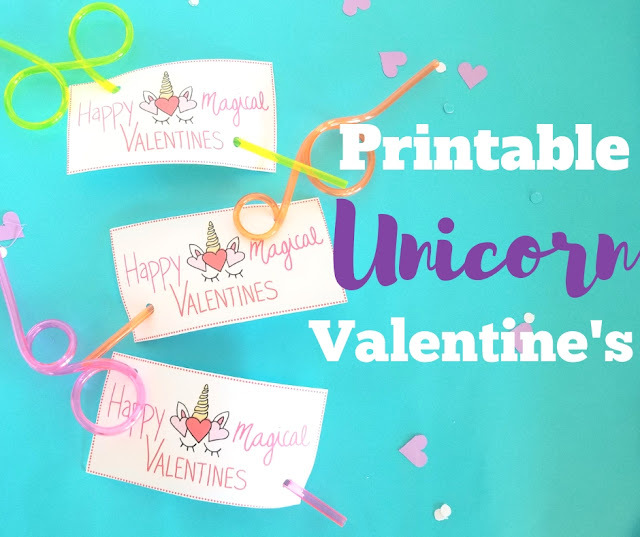 Make sure you print in color. You can always send the PDF file to a printing shop to have them printed, or just print them right from home. 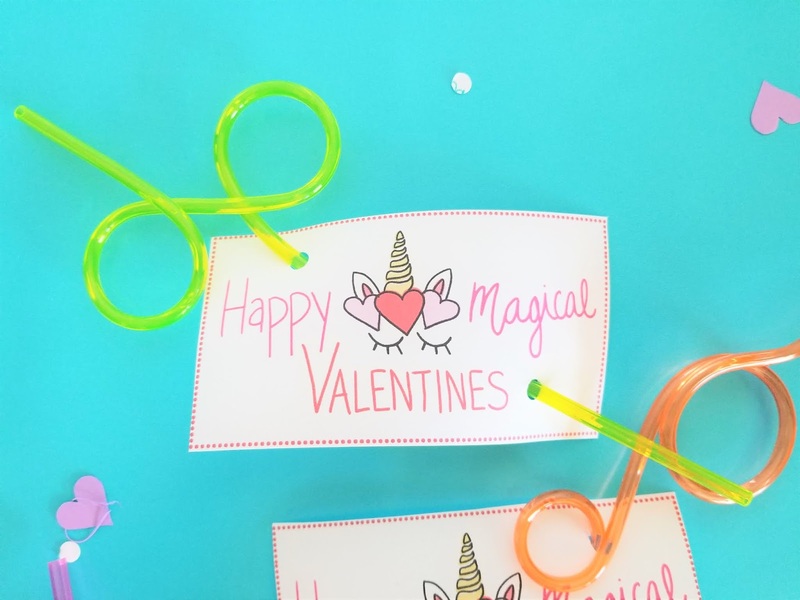 Cut out the valentine's and place a hole punch in the top left hand corner and in the bottom right hand corner. 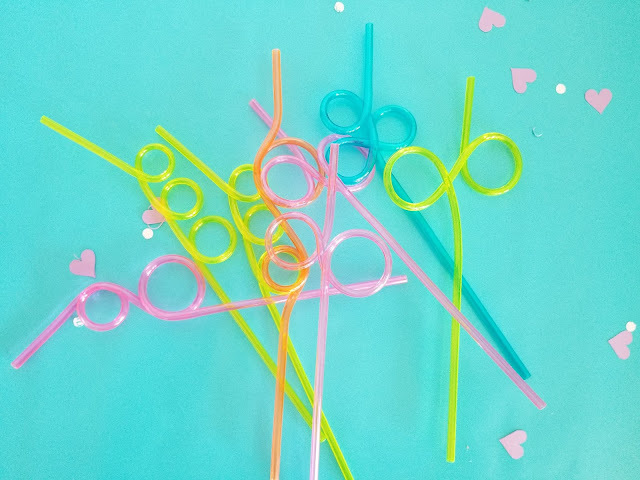 Pull out those crazy loopy straws. I got a pack of 36 on Amazon which was great for me. But you can find them at Walmart or Target. Place the end of the crazy straws through the unicorn valentine. 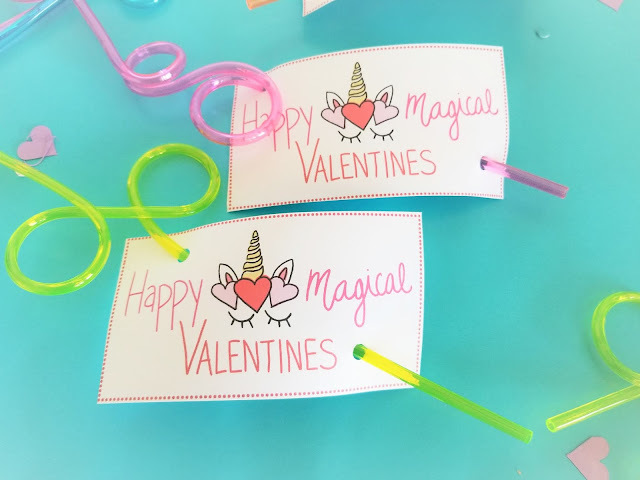 If they aren't staying well, try placing a piece of Washi tape on the back of the straw and adhering it to the Valentine. 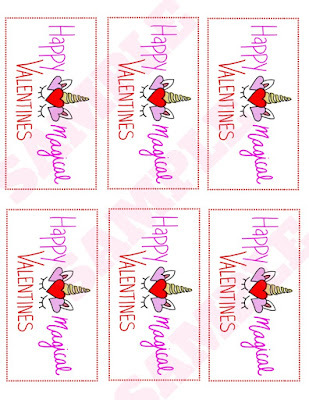 *GYCT Designs printables are for PERSONAL USE ONLY. *If you share this on the internet, credit must be given to GYCT Designs and linked back to this post.